During my time on the Design Lab team at Adobe, there wasn’t one year that passed where one of my projects did not make it to the big after-hours stage. 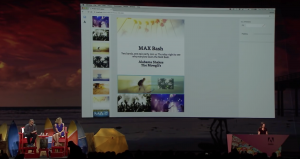 MAX Sneaks is, in my opinion, one of the most exciting events at Adobe MAX. Prior to joining Adobe, I looked forward to watching all of the emerging technologies and projects that just haven’t made it to the product stage yet. While working at Adobe, I’ve come to understand that it’s not just the hard work of inventing the technology or workflow, it’s carefully crafting a narrative around something for people to get excited about, and it’s getting up on stage in front of thousands of people. I personally haven’t had the pleasure (or terror) of this, but my team members have, with projects I led development on. 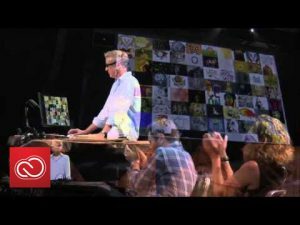 My first year at Adobe, we presented Project Louper, an image search feature with Adobe Stock in mind. It found similar images to the one you feed it, as well as weighted searches from multiple images. The designer I worked with, Bernard Kerr is up showing the project. The next year, my talented designer colleague, Danielle Morimoto showed off Project Quick Layout. It was a grid based layout solution where a user could chop up a blank page into grids super easy and populate with assets. The initial concept was designed and coded by another talented designer I still work with, Will Ruby. I took over development and made the concept more battle and production ready as we added more and more features. Erica Prenga did a kickass job as junior developer on this project. 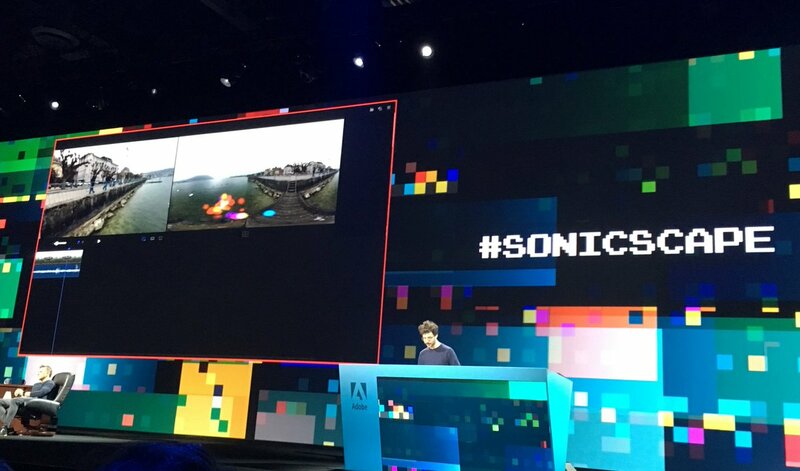 The next year, and the final year of working in the Adobe Design Lab, Yaniv De Ridder showed off Project SonicScape. Yaniv led development on this project and worked with myself and another talented designer, Michael Cragg. This Unity based project allowed a user to work with 360 video more easily, but more importantly, visualize and work with 360 sound alongside of it.